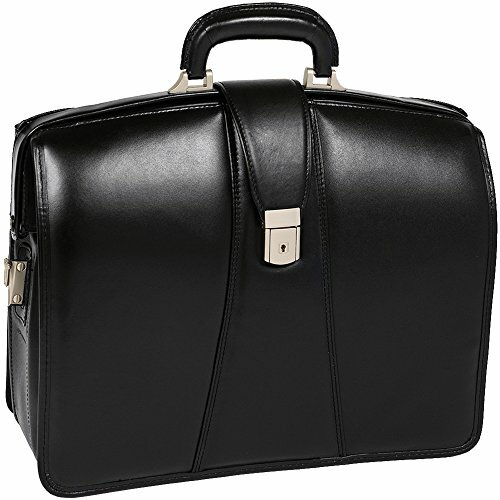 Organizer with storage space for media devices, cell phone, business cards and pens. Adjustable, non-slip, shock absorbing, comfortable shoulder strap helps alleviate body strain. 3-section gusset construction with padded middle section that protects laptops up to 17? in size and two divider sections for documents. Elegant design meets modern functionality with secure key lock.